"Green shoots" of economic revival already evident, says Bernanke. In his first television interview, Federal Reserve chairman Ben Bernanke predicted that America’s worst recession in decades likely will end this year, and that the economic recovery would gather steam next year. The US central bank chief, whose decision to sit down last Wednesday for the rare interview underscored the gravity of the crisis, said much depends on fixing the crisis-hit US banking system. “We’re working on it. 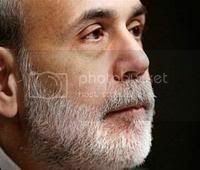 And I do think that we will get it stabilized, and we’ll see the recession coming to an end probably this year,” Bernanke said. “We’ll see recovery beginning next year. And it will pick up steam over time,” he said. Asked if the United States had avoided a repeat of the 1930s Great Depression, Bernanke said: “I think we’ve averted that risk.